First up “N” is for Natural Gas!! That is what I do for a living. It’s kind of hard to take a picture of though because it is odorless and colorless. (The odor you associate with it is added before it gets to your house.) 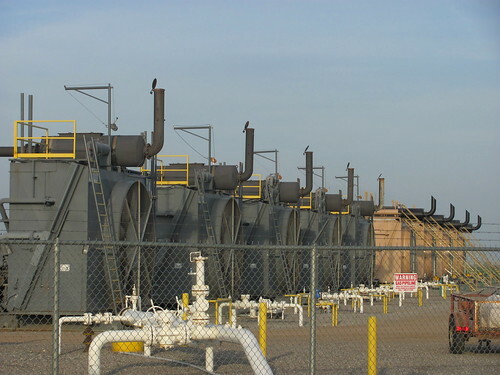 Above are pictured natural gas compressors in the Woodford Shale Field east of Oklahoma City. My job involves optimizing the use of these machines to maximize the production of natural gas while minimizing costs (consistent with safe operation). Believe it or not, I am on the sustainability team at work as optimization is all about sustainability. Do I believe in man-made global warming? Yep, I do. I also believe in hot showers! I am an “all the above” on energy and I think we are headed toward green energy faster than what most people think. I follow the trends and stats. Wind and Solar is taking market share away from natural gas (for electric power generation) and gas is taking away market share from coal and nuclear, and is barely holding its own. The growth in natural gas production is export. Energy for transportation (gasoline for our cars) will be the hard part. N is also for Neon. 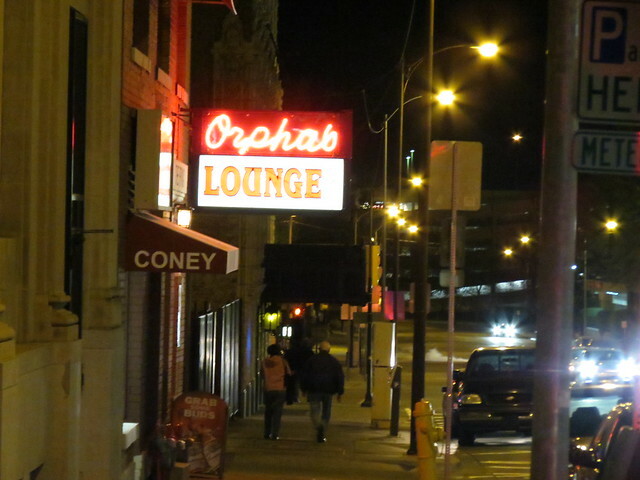 This is Orphas’s Lounge in downtown Tulsa. I have been stepping over the drunks passed out at its front door since I’ve been working in Tulsa since 1992 (admittedly a rare occurrence.) 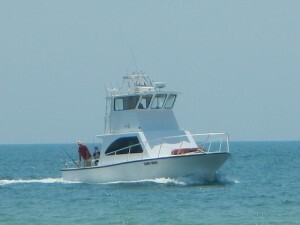 My goal is to go inside and have a beer one of these days before I retire. As old as I am though, I am too young to die!! N is for National Guard Armory. 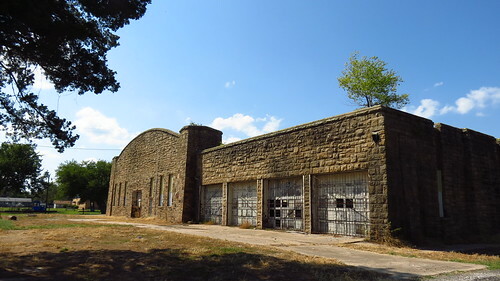 This one is a now privately owned one in Haskell, Oklahoma about an hour or so from Tulsa. 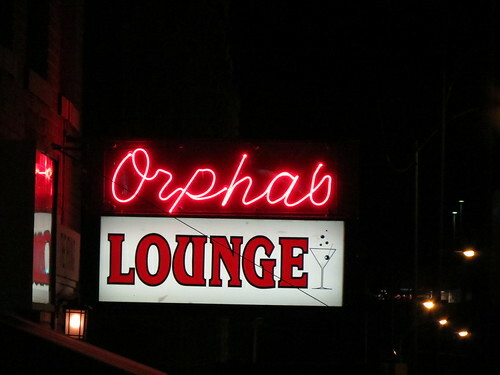 Remember when all the towns had one it seemed. They used to be almost community centers. Not any longer for some reason. 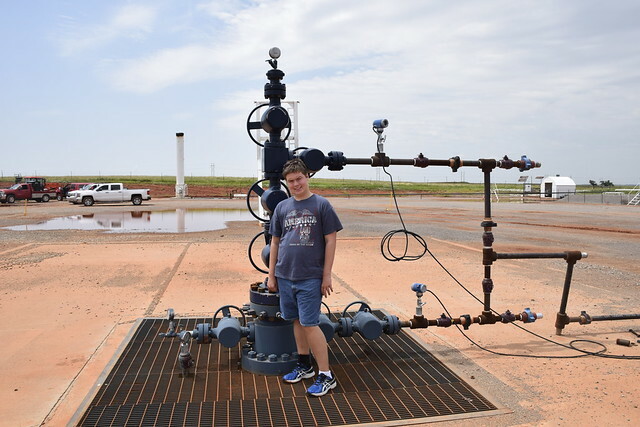 This entry was posted in ABC Wednesday and tagged Natural Gas, Sustainabllity on April 9, 2019 by Alan Bates. Is being near the well dangerous you ask? I tell you what is dangerous. See that grate that my son is standing on. Take the grate off and climb down into the vault to check it out. Watch out for the slithery things that rattle. Those are dangerous. Stay out of that vault and you are safe. Just don’t mess with anything. Please!! N is for New Orleans. Always. N is for night time running. It always takes a little getting used to. Keep your wits about you is my advice. N is for neon. Who doesn’t love Neon lights. This entry was posted in ABC Wednesday and tagged ABC Wednesday, N, Natural Gas Wells, Neon, New Orleans, Nighttime running on October 10, 2017 by Alan Bates. ABC Wednesday – “P” is for ….. It is October so P has to be for Pumpkins, lots of pumpkins, pumpkins everywhere! 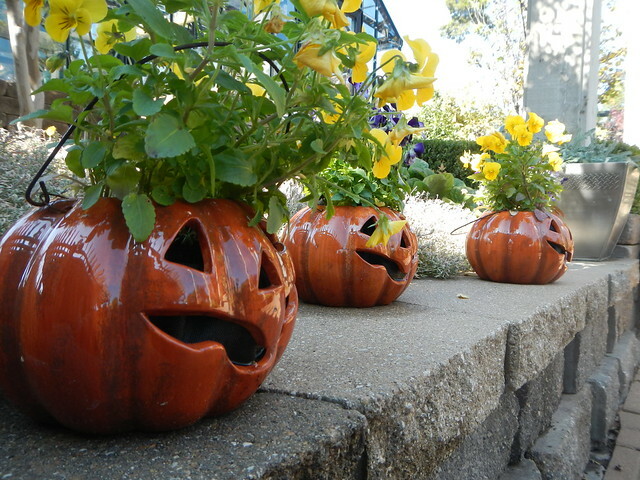 Even crying pumpkins with flowers planted in them. 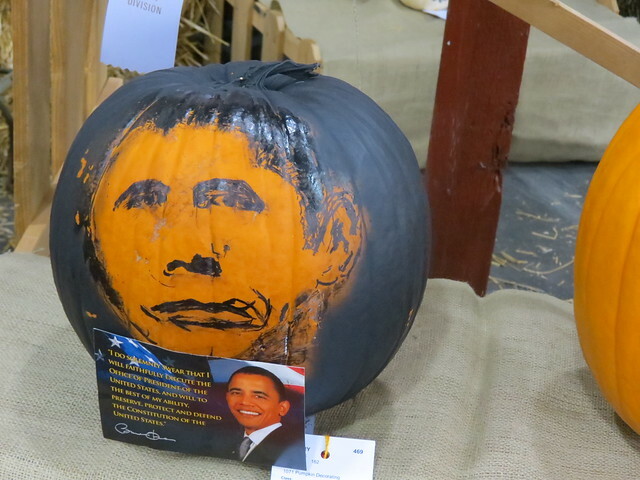 And even pumpkins painted to look like our President!! 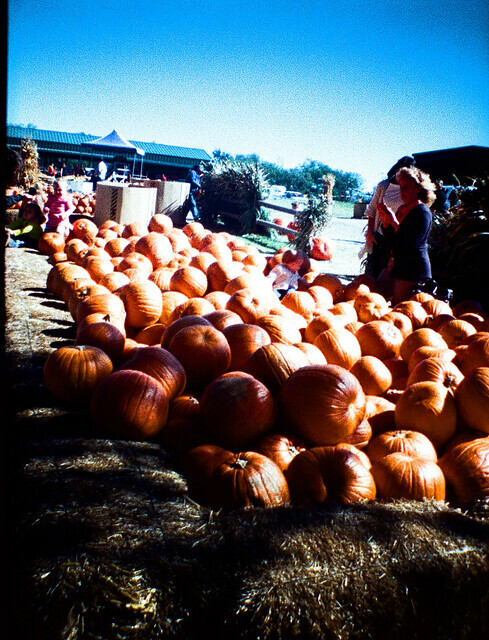 This entry was posted in ABC Wednesday and tagged ABC Wednesday, P, Pumpkins on October 29, 2014 by Alan Bates. In Oklahoma “O” is for Oil Wells!!! LIke this old well up in Osage County in the northeast part of the state. 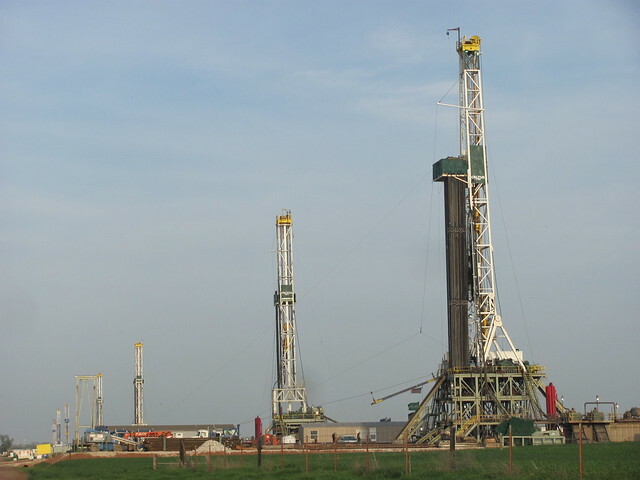 Or like these new wells being drilled into the Cana Woodford Shale in western Oklahoma. 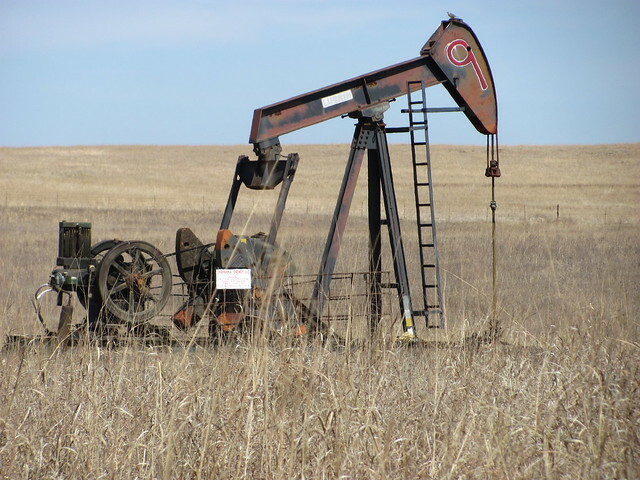 Do you have oil wells where you live? This entry was posted in ABC Wednesday and tagged ABC Wednesday, Drilling, Oil, Oklahoma on October 22, 2014 by Alan Bates. 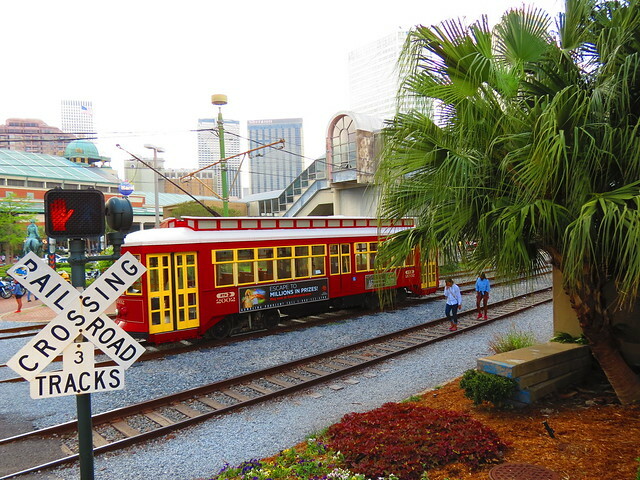 The letter this week is N. What better N than New Orleans? 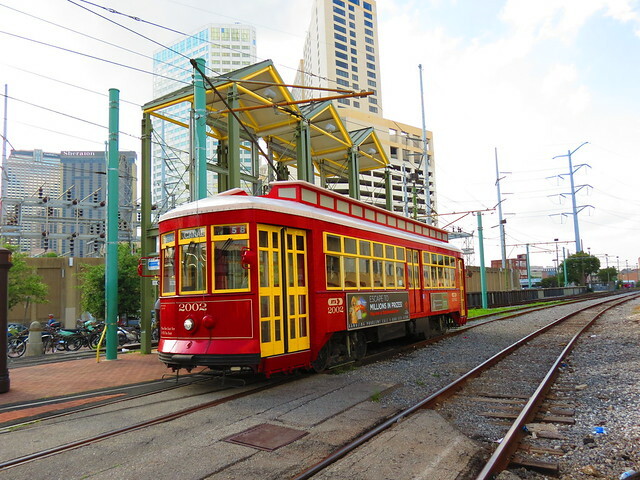 It is a city of Street Cars. And ancient houses with flowers up top. And great food, and music, and all sorts of stuff!! 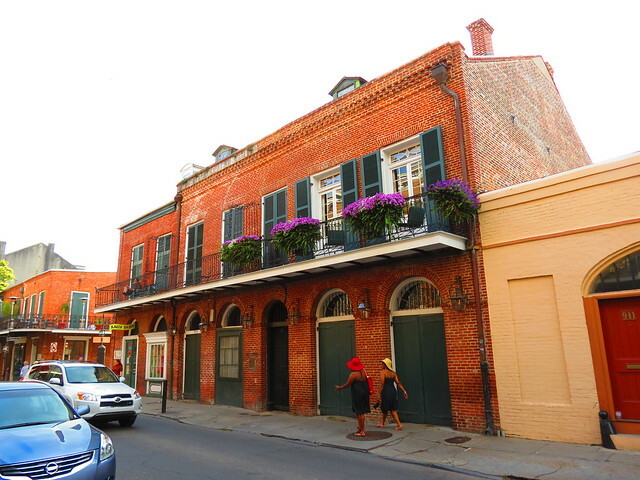 This entry was posted in ABC Wednesday and tagged ABC Wednesday, New Orleans on October 14, 2014 by Alan Bates. ABC Wednesday – C is for Cactus!!! Construction Equipment!! – no I didn’t see anything I liked. Cactus!! Yes. 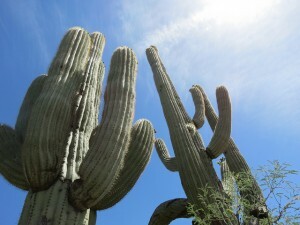 These are from a trip to Arizona that I made with my Dad, sister Ellen, and brother Bob a couple years ago. 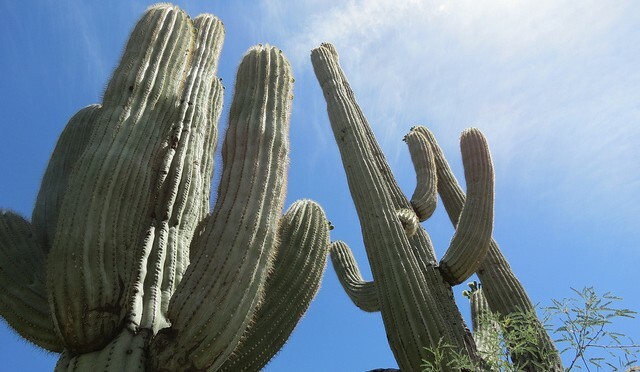 This entry was posted in ABC Wednesday, Arizona, Cactus on January 29, 2014 by Alan Bates. 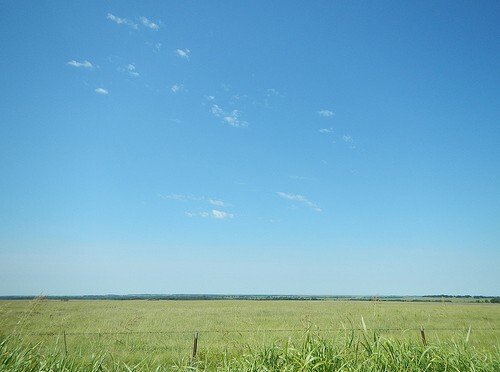 “E” is For Expanse, the Wide Open Spaces. 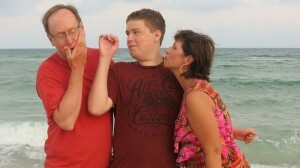 This week I drove from Oklahoma up to South Dakota and back to attend a family reunion. 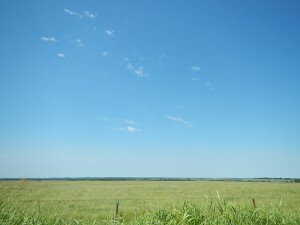 Driving through Oklahoma, Missouri, Iowa, South Dakota and Nebraska and Kansas on the return trip it truly is amazing how big and Expansive the Great Plains are. They really are beautiful. Have you been on a road trip lately? Where did you go? What did you see? This entry was posted in ABC Wednesday, Road Trip on August 13, 2013 by Alan Bates. From last year’s Ringling Brothers Circus here in Tulsa. Lots of hair pulling amazing action. 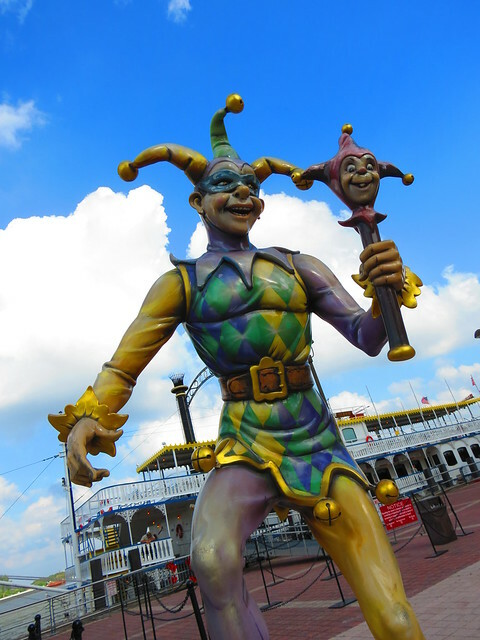 This entry was posted in ABC Wednesday, Acrobats, Circus on July 16, 2013 by Alan Bates. If you are back from a beach vaation then W has to be Water! We swam in it. SuperPizzaBoy is part fish I think. We saw boats in it. We even saw a few people even walking on water. 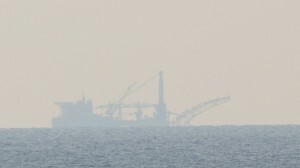 And then way far off we saw some ghostly sinister shapes on the water. 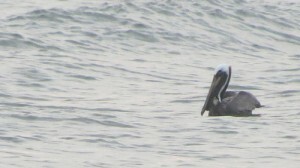 There were pelicans trying to catch dinner. 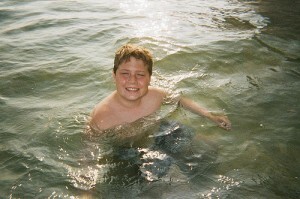 All sorts of foolishness was going on in the water. Not all of it can be explained. I mean I could explain it but you wouldn’t understand it. I took 616 photographs on our trip, 282 of them have a “water” tag. 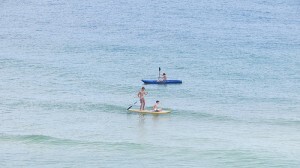 This entry was posted in ABC Wednesday, Gulf Shores, Vacation, Water on June 18, 2013 by Alan Bates. Downtown Oklahoma City. 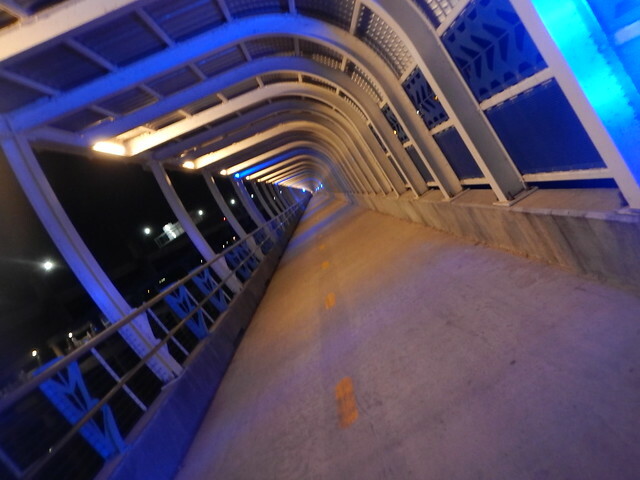 I was warm and dry in a pedestrian bridge. 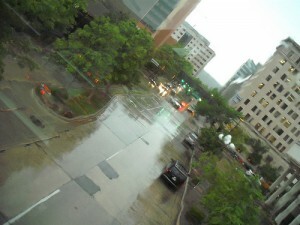 This entry was posted in ABC Wednesday, Oklahoma City on May 14, 2013 by Alan Bates.